Wet and corrosive environments present a whole host of unique problems for air filtration. Airborne dust particles, bacteria, molds, yeast and VOC’s can build up to be a serious problem. Permatron designs and manufactures all sorts of industrial air filter types for use in a wide range of applications including corrosive and wet environments. Our industrial air filters work as a first line of defense to protect valuable equipment – even in extreme environments. DuraLo (Model DLO) is a washable polypropylene media air filter that works extremely well in wet environments, because the woven media of polypropylene is manufactured as a mono (single strand) filament. It does not have a porous surface, meaning it will not absorb or retain moisture, and does not encourage the growth of mold, bacteria, viruses, yeast or fungi. These are all common air filtration complaints in the boating/shipping industry. Containing our exclusive Accumulator Chamber® construction, this filter is designed to work in applications requiring very low resistance to air flow or high velocity air flow. 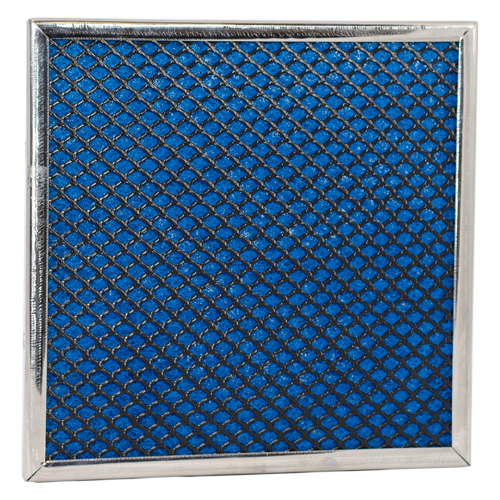 Available in 1″ or 2″ thickness, the filter media is encased in a front and rear black plastic grid for added support, framed in stainless steel. DuraFoam (Model DF) contains a combination of polypropylene and 20 PPI synthetic foam media that can be used in marine environments requiring a greater particle arrestance efficiency. The urethane foam’s ethers hold up very well in wet environments including salt water, and have historically been used for pond and water filters. 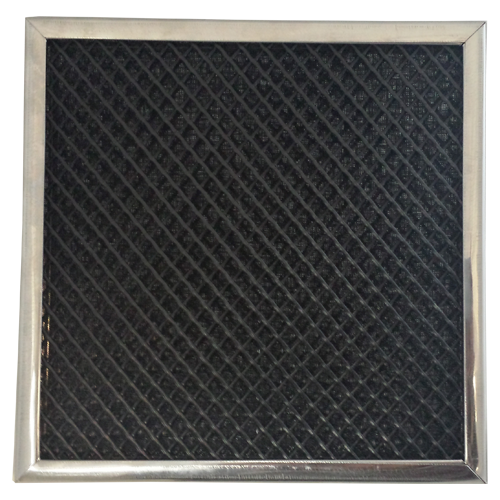 Available in ½″ thickness, the filter media is encased in a front and rear black plastic grid for added support, framed in stainless steel. 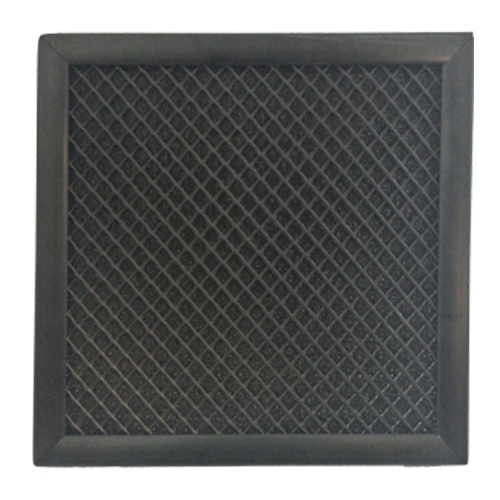 Available in 1″ thickness, the filter media is encased in a front and rear black plastic grid for added support, framed in either stainless steel or black plastic. DuraLoft (Model DL) contains Permatron’s rigid high loft PermaFlo polyester media for marine air filter applications needing greater moisture condensation surface area. The rigid high loft blue polyester fiber does not flake, shed or have sharp edges. The polyester fibers are unaffected by moisture, and clean easily with water for long term use. Available in 1″ thickness, the filter media is encased in a front and rear black plastic grid for added support, framed in stainless steel or black plastic. Available in 2″ thickness, the filter media is encased in a front and rear black plastic grid for added support, framed in stainless steel. DuraFoam, DuraLo and DuraLoft marine environment air filters carry a 5-year warranty. Thank you for your interest in Permatron air filters. We do not sell direct to homeowners, our website is strictly informational. You can purchase our products from your local HVAC contractor or we can refer you to a list of catalog/retail website partners where you can purchase online and ship the air filter directly to you. We promise to keep your info top secret. I'd like to take a moment to thank-you for your support, your quick replies and your thoroughness throughout 2012. It has been a pleasure working with you and your team and I look forward to doing so again in 2013. I have 2 customer problems that I solved with your products. These are both hospitals. One had a problem with air filters being damaged by moisture being pulled into them by powerful air handlers. The filters were failing prematurely. I sold them your Model IN filters 3 months ago for one of their air handlers. They just ordered more filters for a second air handler. They have seven more air handlers that could use the same filters, so hopefully there will be many more orders for these filters. The other hospital had a problem with leaves, insects and debris getting into their air intake louvers. I sold them the PreVent air intake screen, custom sized, to protect their louvers. DuraLo, DuraLoft and DuraFoam industrial air filters protect valuable equipment in extreme wet and corrosive environments.